I still haven’t gotten an earlier appointment with my new Endo. My current appointment is December 14th. It’s only a month away now so I’m not even going to try to change my appointment now. The rheumatologist called the other day. I have an appointment with him on December 9th. My general doctor wanted me to see him because my rheumatoid levels are low and I’ve been having pain in my bones. Hopefully I’ll get some answers from my rheumatologist. I’m still not getting support from my family except for my dad. He’s the only one that believes I’m still in pain. At least I have support from one person. It’s better than no one. 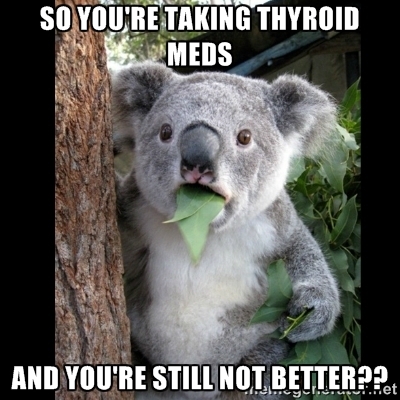 Well those are my only thyroid updates for now.